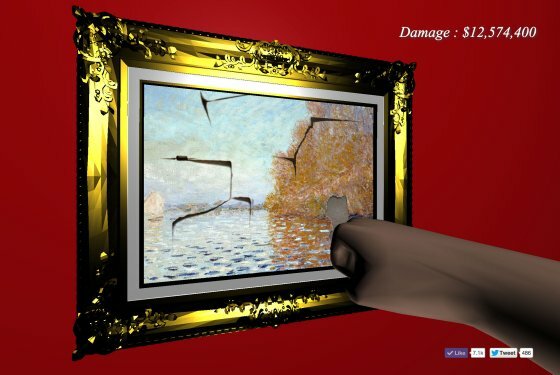 Andrew Shannon, who punched a hole in a Claude Monet work at the National Gallery of Ireland, is now the main subject of an online game created by Tom Galle. 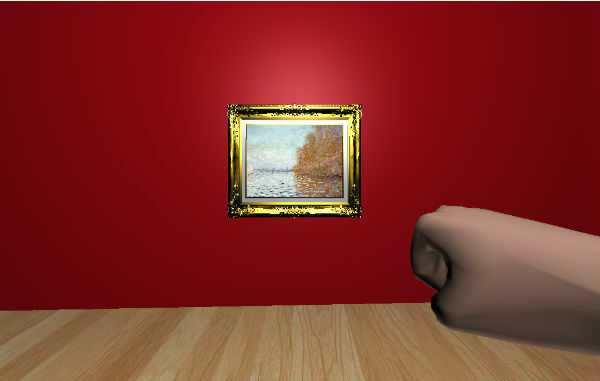 ''Punch Monet'' allows you to act as Shannon and actually rein-act the infamous punch. Galle commented: "(The user) would be able to walk up to the super expensive Monet painting and start punching it until it eventually is completely destroyed," he wrote in an e-mail. "It is just built for fun, we do not in any way want to encourage destroying valuable objects of art (of course)." On the public reaction to the piece Galle said : "I think people really see the humor behind it, but I also had a couple of negative reactions of people that felt like we were encouraging the destruction of valuable art." "There's something inside all of us that wants to break the rules, cross the line, and go a little crazy." Shannon admitted to punching the painting as a form of protest against the state, he was found guilty and sentenced to five years in prison as well as being banned from any gallery or museum for 15 years following his release.